How does a band that basically consists of one individual break up? That's a good question, especially since Dave Pearce, the mind and soul behind Flying Saucer Attack does not seem to be considering an early retirement. Far from it, Pearce still has numerous ideas he wants to pursue (including an entirely acoustic album), but it appears as if he feels the concept that he and Rachel Brooks began as Flying Saucer Attack is not really where he's heading anymore. "I'm not and I haven't given up on music but my head's in a different place to 6/7 years ago," Pearce said in a September 26, 2000 posting on the FSA mailing list. "Y'know I always felt I should've changed the name after Chorus, cos there's a definite cutoff point there, and we knew it at the time... it's the point that naive exuberance left the equation really." Regardless, Pearce seems to feel that the latest, and last FSA album, Mirror, is a worthy conclusion to what Flying Saucer Attack was all about, and perhaps even a brief foray back into the essence of earlier FSA. "I still think part of the spirit that was lost at that time came back on Mirror... Mirror feels to me to be a good, admittedly belated, coda to the 1st single through Chorus era, but it's definitely the end of something." Flying Saucer Attack began in 1993 as a loose collective of musicians based in Bristol, England that decided to take a stance against the highly commercialized Brit Pop of the era by pursuing a decidedly lo-fi, avant-noise, home studio approach to music. The original core line-up consisted of Pearce on guitar and vocals, his girlfriend Rachel Brooks on bass and clarinet, both former members of Lynda's Strange Vacation, and Third Eye Foundation's Matt Elliot on percussion. After achieving minor success with the single "Soaring High", they recorded and released their debut album in 1994. 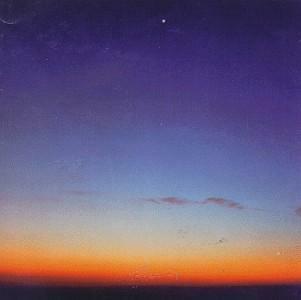 Flying Saucer Attack, subtitled "Rural Psychedelia", is very much a part of the post-rock aesthetic, where texture becomes as important as rhythm or melody. The album features catchy songs with barely discernable, yet hypnotic vocals, swimming in a lushly organic sea of feedback. Feedback is used here, not just as an effect, but also as another instrumental voice. The music finds a unique niche between the experimentation of Krautrock (especially on the band's nod to Popol Vuh on two tracks) and the dream pop of 80's and 90's shoe-gazers like Ride and My Bloody Valentine. The band followed their debut with Distance, a little later in 1994. It was actually a collection of singles that FSA had produced before and during the sessions that gave rise to their debut, and as such, finds itself in a very similar vein. The band seems to be struggling to find a certain sound, and they do find it on their next release, Further. With this album, Pearce and company translated their rural psychedelia to a more appropriate pastoral setting. The album is the apex of Flying Saucer Attack's achievements. Dave Pearce finally learns to control the raging feedback he'd been experimenting with, shaping it like a sculptor working with sound instead of clay. Consequently, the album was less dissonant than earlier works, but nonetheless displayed all of FSA's trademark qualities: windswept ambient soundscapes, layers of guitar, and spacey, yet intimate vocals, with surges of feedback bristling beneath it all, humming like electricity in high tension wires. It would be an achievement the band would not be able to replicate. Already, cracks were appearing in the collective. Rachel Brooks was concentrating more on her own project, Movietone, and other collaborators had moved on as well. Chorus, released in 1996, marked the end of FSA as a group effort. The album was another collection of singles and out-takes from the FSA John Peel Sessions. With Flying Saucer Attack now basically a solo vehicle for Pearce, he decided to focus on some shorter works. The first of these was the Sally Free and Easy EP. The 1958 Cyril Tawney song had been covered by the likes of Bob Dylan, Marianne Faithful, Pentangle, and most recently, by Boston psychedelic rockers The Magic Hour in 1994. But Pearce still managed to give it his own unique treatment. Tawney's undulating melody drifts by on waves of droning feedback. Pearce's vocals sound like he is on the verge of falling asleep, giving the piece a hypnogogic waking dream feel. The second was the 23 and a half minute long instrumental EP Goodbye/And Goodbye/Whole Day, a collaboration with New Zealand guitarist Roy Montgomery. Despite the collaboration, the EP had the feel of an intensely personal and introspective work. Having got these efforts out of his system, Pearce set to work on the tracks that would become 1997's New Lands album, marking another change in FSA's sound, a change that Pearce didn't seem entirely happy with, but doesn't seem to regret. "...after a while," he said, "you have to try a few other ideas... even if some don't work out (eg, New Lands)." New Lands had a much darker feel than previous FSA works. Gone were the exuberant melodies of the early FSA, and the haunting acoustic simplicity of Further. The sounds on New Lands were harsher, and more industrial than ever. After having issued at least one, and often two releases every year since '94, FSA seemed to be grounded in silence after 1997's New Lands CD. In fact, Pearce had been busy in the studio for two years, recording the tracks that would become Mirror (released on January 18, 2000), his most diverse, and probably most accessible album to date. Mirror displays an even more marked turn in direction for Pearce than New Lands did. One doesn't even have to hear the album to know this; the cover alone is clue enough. Gone are the quiet, desolate, twilight landscape photographs that graced the covers of past FSA albums, replaced this time with a fiery and quite loopy psychedelic statement. Pearce is emerging from the muted tones and soft blankets of noise that covered much of his past work, with a more dynamic and exciting sound. And when I say "more exciting," I don't mean to imply that earlier FSA was not exciting. It was exciting for its time, but as Pearce is feeling the need to move on musically, so is the music scene itself. Mirror is psychedelic space rock for the 21st century. Pearce has spent the balance of 2000 (after the release of Mirror) working on a follow-up, but he says he's less than pleased with the results. "It really isn't there, it sounds dead to me," he said in an FSA mailing list posting. "I've decided to ditch it, I've realised the FSA journey may well be over this time. I'm not coming up with anything any more that "fits"." Dropping the name seems to be Pearce's way of freeing himself from creating works that have to fit a pre-conceived notion of "Flying Saucer Attack music". In short, a name that once liberated him musically appears to now be tying him down. "I still do feel the old band name makes no sense nowadays... it always was a bit of a silly name," he said on the FSA mailing list, "but when we started, that kind of space/UFO thing wasn't around music-wise, in fact it took a bit of nerve going with a name like that as it stood out like a sore thumb..."
Does that mean fans will no longer be hearing the fuzzed-out, atmospheric space rock they've come to expect from Pearce? He has an interesting take on that. "...people put our records in the 'F' section in stores and then suddenly I noticed they were putting them in new sections called 'Space Rock' that were popping up in stores, and of course the name suddenly fell right in with that, to the extent that now it's impossible to shake that off... I've never been doing Space Rock anyway, such as I understand it; just been trying to do my own thing, as I was before there was a genre that came along and swamped it (names-wise). So, that's another reason to make some kind of a break. Try and get some identity back." Still, if Mirror is any indication of things to come, we can expect a lot of creative and interesting music out of Dave Pearce in the future, even if it isn't Flying Saucer Attack anymore.